Previous postHow Often Do You DNF a Book? Oh no on the trees. lol I need to have mine done soon and so not looking forward to that expense. Ee! Happy almost weekend! I finally listened to another audio book myself this month: John Grisham’s The Street Lawyer. My library didn’t offer the kindle version but it did have the audio version. It was good listening again! And I loved the book. She does thought I think she has aged well too. What a pretty cover for that Duchess book. Made me smile to read that you were sewing. I need to get back into that. Yes I love the colours of that book too. Hot sewing but need to do it! Oooo I’m looking forward to American Duchess! I’ll be curious to hear what you think of the Sally Fields memoir. I can’t recall having seen many reviews on it. Yes – tree maintenance has a cost and I feel for your exposure issues. I will have to take a look at True Places in audio and I am looking forward to your thoughts on The Red Address Book. I enjoyed the first couple of Royal Spyness on Audible and need to pick up some more. I hope you get some sunshine without rain soon. Happy Reading! Debbie I’ll read Sally Field’s book along with other books. I bet Pam Jenoff’s book is tough. Have a good week & enjoy your books & quilting. Thanks for hosting the link-up! Trees are expensive aren’t they! They left some of the mulch for me but now I have to wheelbarrow it to the back and its too hot to do it!! Ouch a $1000 and that’s what it almost cost me for all the work they did too. The Red Address Book is different but I like it. Its well done. I haven’t heard of My Name is Doris so off to look it up. And thanks – just found it on Netflix – a treat in store! I am enjoying her in the TV series Brothers and Sisters at the moment as I never saw that when it came out. I’m really interested in the Red Address Book! I keep seeing it everywhere! I enjoyed the entire Her Royal Spyness series. 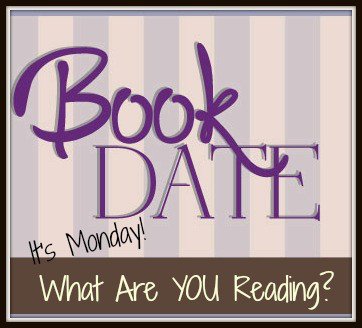 Looking forward to how you feel about The American Heiress.. it’s on my TBR. True Places and In Pieces are both so so good. Let me know what you think of the Sally Field Memoir. Also I have to read The Military Wife this week, is it a drama? Crime? Thriller? The Military Wife is more contemporary fiction – no crime or thrill attached! I liked it – I guess more women’s fiction. Oh my True Places might be my fave for the month of Jan. I hope you are enjoying THE RED ADDRESS BOOK as much as I did….LOVED it. ENJOY your week of reading and sewing. I can’t wait to read The Red Address Book. I wish I could listen to audio! I hope you’re enjoying The Red Address Book, I loved it! And I’ve been wanting to read the Sally Field book. I’ll be interested to see what you think. Have a great week and happy reading. Yards are so expensive and so much work. If I didn’t have a dog, I’d want to live in a condo for sure. I’d be happy to let someone else do all the work. Have a great week! We asked our lawn guy to stay on through the winter as our tree guy. It’s strange how different everything can look when your trees are cleared out! And yeah… it’s not an exciting way to spend your money. LOL. I have the Sally Field book and I really need to read it. Having trees trimmed is so expensive. We have a large tree in our front yard and really need to have it done again, ugh! Oh I hope the weather improves for you this week! Wet and drizzly is no fun. Love the look of the Rhys Bowen- I read one of the books in that series and it was fun! Weather has been weird here. Over six inches of snow one day, and then 50 degrees a few days later. Hope you get some warmer weather soon. Trees are very expensive. I keep saying I could have a beautiful yard if I had an unlimited budget. The Beach House looks great. I’ve been seeing The Red Address Book everywhere and already added it to my wish list. I love Sally Field. I hope to read her book this year too. I’m seeing The Red Address Book everywhere! I’ll have to look out for your review. American Duchess looks promising. I hope you enjoy it. I hope to enjoy American Duchess too, at this point I am not even sure what its about!! Sam everyone should have at least one quilt!! .The Red Address book looks good. I loved the Beach House. Hope you have a great week! So many tempting books! Enjoy them all, and thanks for visiting my blog. Looking forward to The Red Address book. Hope this week is a great one too.